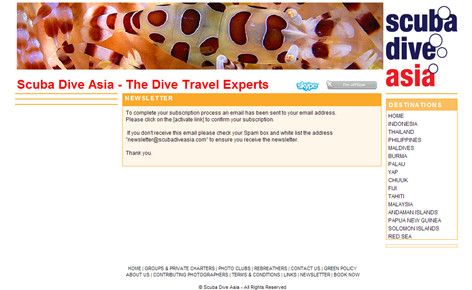 How to show correct modules on ccNewsletter thank you pages. If you have different module layouts on different pages the thank you and other acknowledgement messages (subscribe, un-subscribe etc ) from ccNewsletter component won't return the correct module layout. If you have different module layouts on different pages the thank you and other acknowledgement messages (subscribe, un-subscribe etc ) from ccNewsletter component won't return the correct module layout. This is because the return urls are lacking an Itemid. 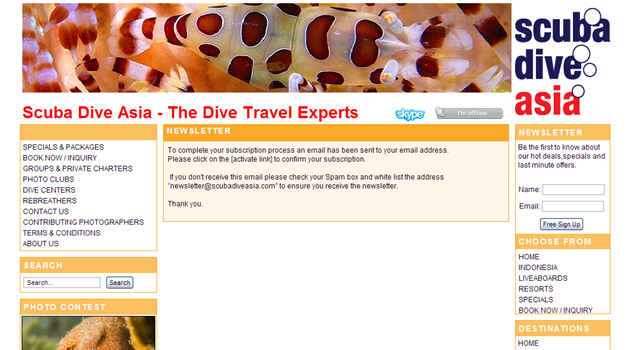 We deal first with the subscription sign-up acknowledgement which is handled by the ccNewsletter Module. First browse to a page that has the module layout that you want and note the Itemid either form the url "&Itemid=107" or from the backend Menu Manager. Open in a text editor the file modules/mod_ccnewsletter/tmpl/default.php. There are 3 lines to change, one for each case, Mootools, HiSlide or normal. Then for the subscription confirm and un-subscribe acknowledgement which is handled by the ccNewsletter Component we open file components/com_ccnewsletter/models/ccnewsletter.php and on lines 592 & 634 ( the 2 subscribe & un-subscribe function ) again add the "&Itemid=107" to the urls.